Thailand is one of the biggest travelling hubs in all of Asia and the perfect destination for novice travellers. Thailand offers a mix of tropical beaches, rich culture, ancient ruins and buzzing cities! Krabi (3 days) → Koh Tao (4 days) → Bangkok (3 days) → Chiang Mai (5 days) → Chiang Rai (1 day) → Pai (4 days) → Bangkok (1 day). 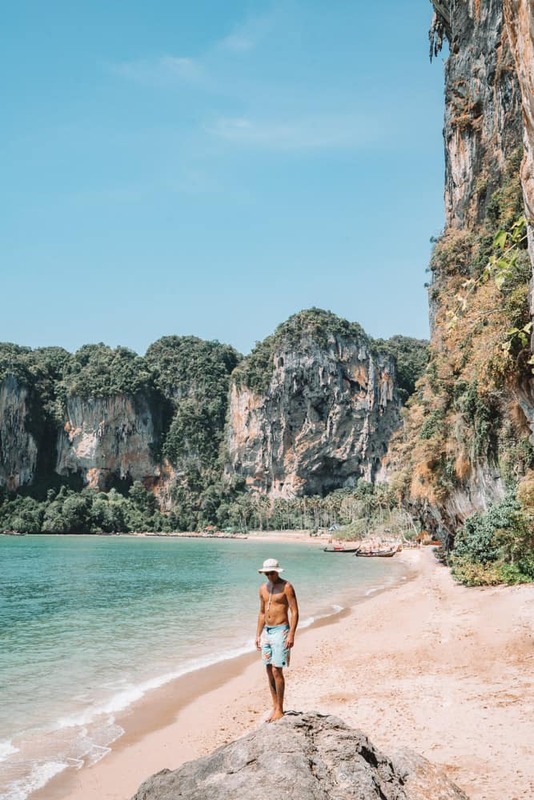 I spent 3 days exploring the best beaches in Krabi and I was absolutely blown away at each location. 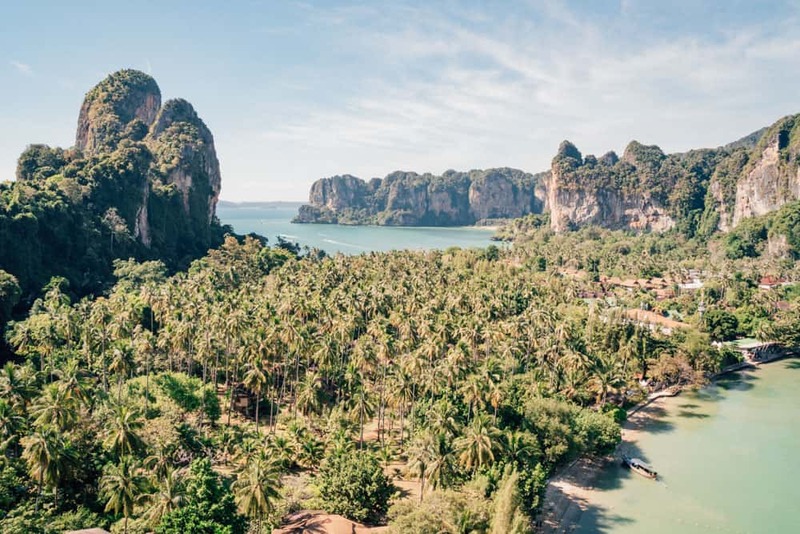 White sand beaches surrounded by towering cliffs and turquoise water are just some of the things to expect when you visit Krabi. 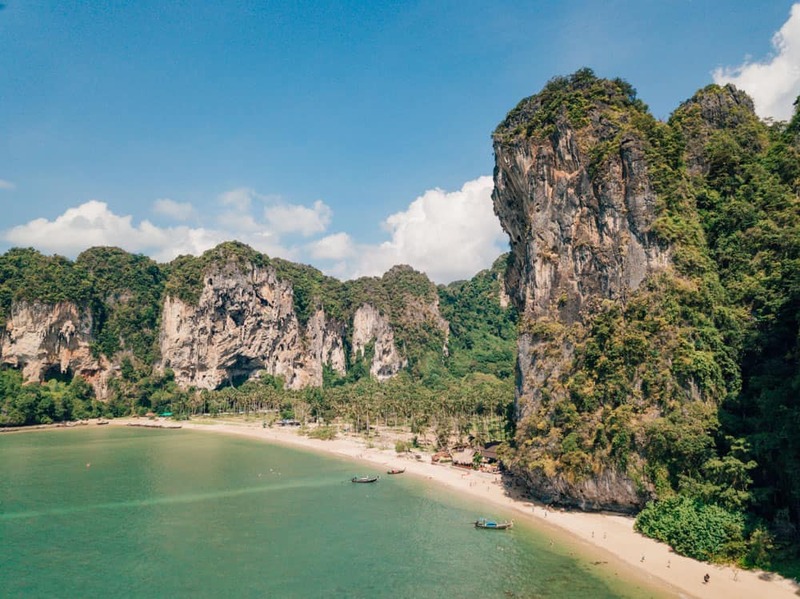 I have put together this guide of the 5 best beaches to add to your Thailand backpacking route. From Krabi, you can take a bus and ferry to Koh Tao with Thailand’s most reputable transport company, Lompraya. The journey from Krabi to Koh Tao takes approximately 11 hours. To check timetables, prices and to book online in advance, click HERE. Alternatively, you can book the bus via your accommodation in Krabi. Koh Tao is my favourite island in Thailand and one of the best tropical destinations in South East Asia! 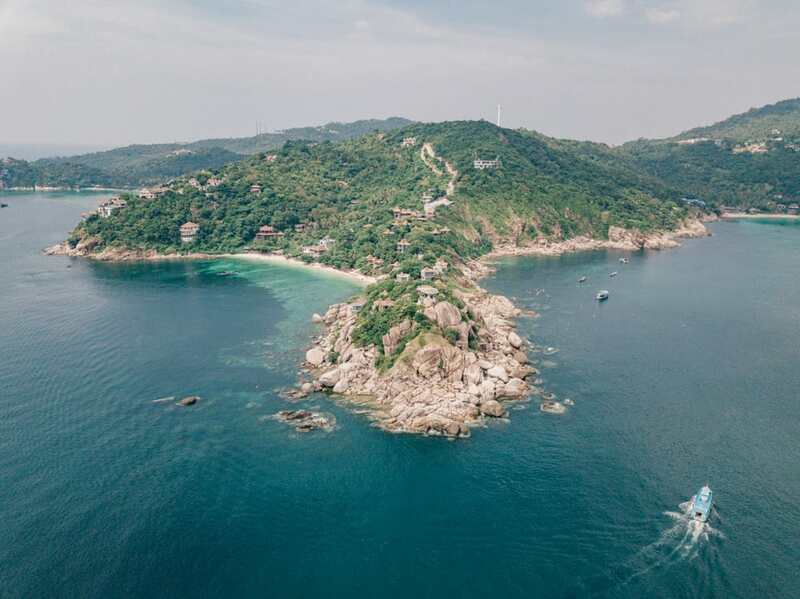 Koh Tao is the famed diving haven in Thailand and attracts divers from all over the world. 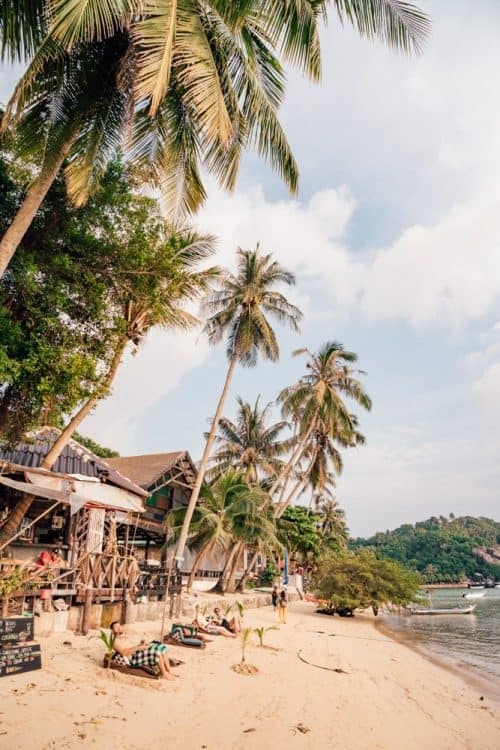 However, as a non-diver, I spent 4 days exploring the best of the best that Koh Tao has to offer, from white palm-fringed beaches to panoramic viewpoints. 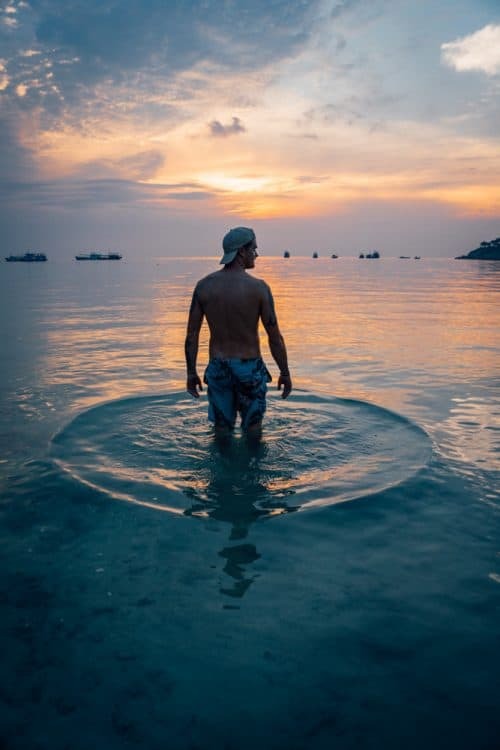 Click HERE to see the full blog post of 15 Awesome Things To Do In Koh Tao. The next stop on the Thailand 3 weeks Itinerary is Bangkok. From Koh Tao, you can take a ferry and bus combination to Bangkok with the Lomprayah transport company once again. The journey from Koh Tao to Bangkok takes approximately 12 hours. To check timetables, prices and to book online in advance, click HERE. 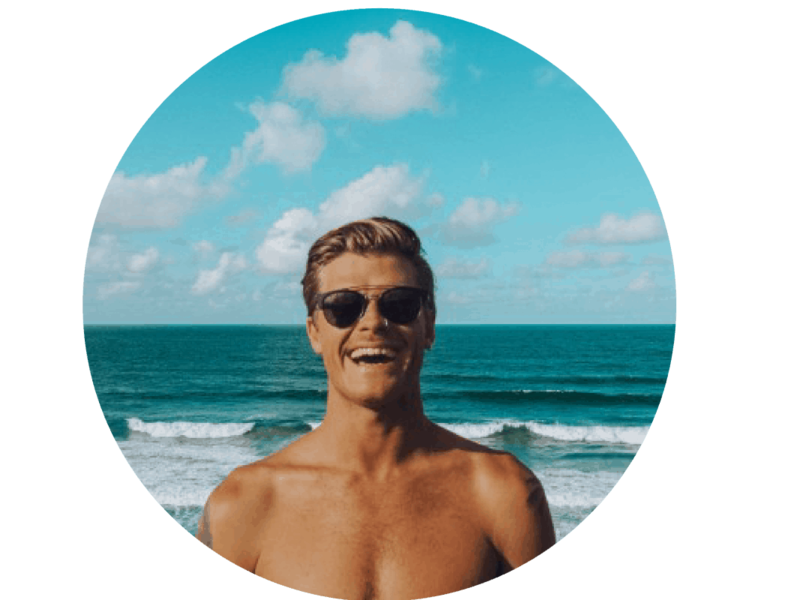 Alternatively, you can organise the bus/boat via your accommodation in Koh Tao. 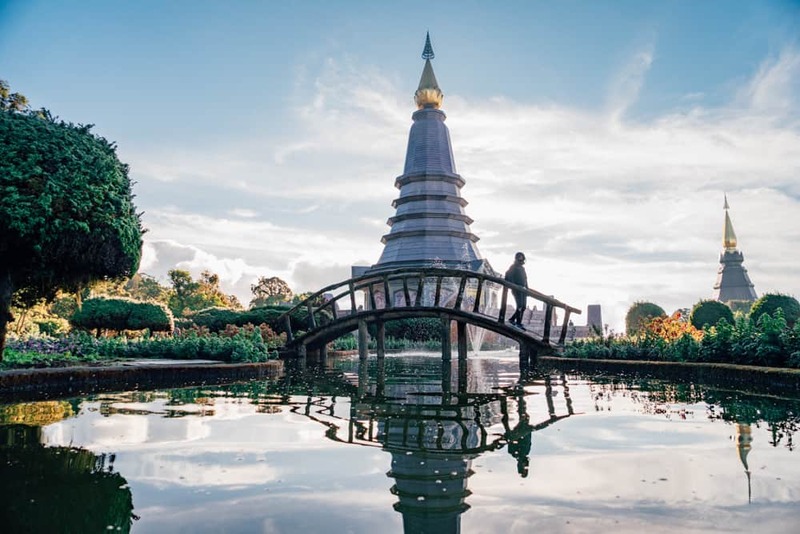 Bangkok really is one of the world’s most buzzing cities and a central hub for backpackers! 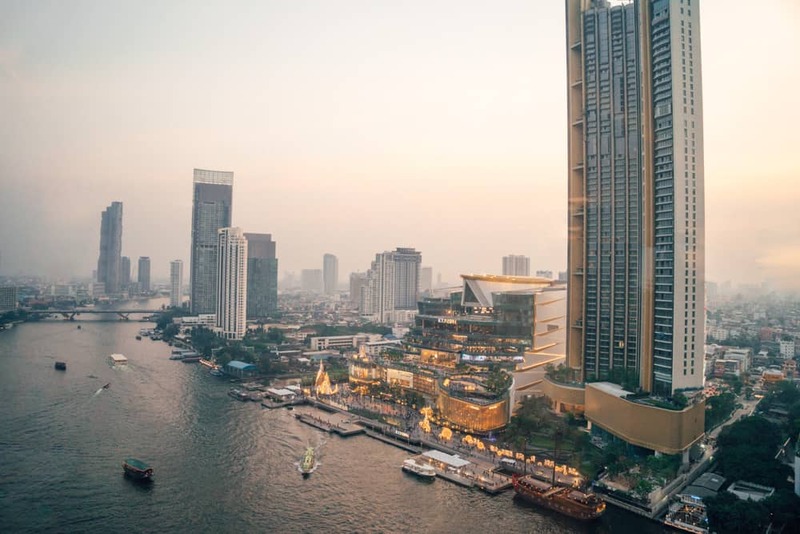 There are many things to do in Bangkok in 3 days that includes vibrant street life, sacred shrines, boat-filled canals and countless rooftop bars! 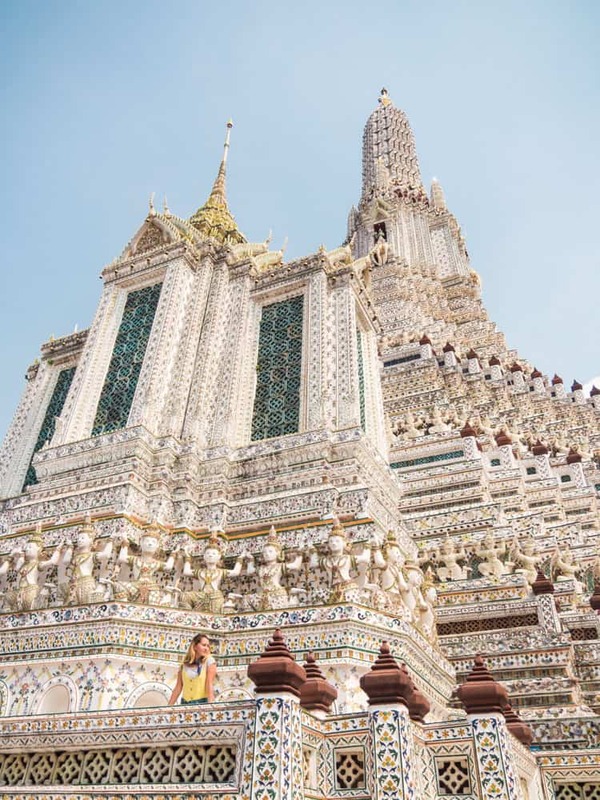 I spent 3 days in Bangkok and it is a must-see destination on everyone’s Thailand itinerary 3 weeks. 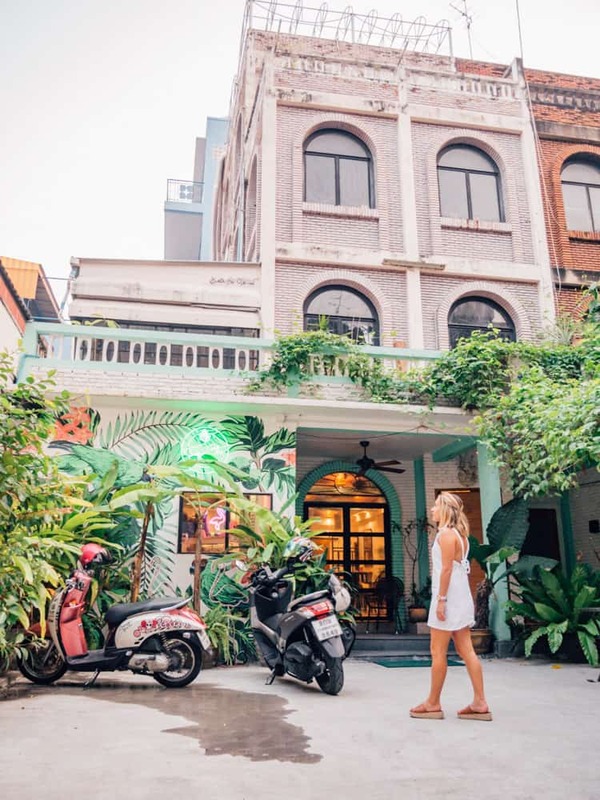 Click HERE to see the full blog post of 5 Best Things To Do In Bangkok In 3 Days. After a buzzing time in Bangkok, you can take an overnight bus to Chiang Mai. The journey from Bangkok to Chiang Mai takes approximately 11 hours. To check timetables, prices and to book online in advance, click HERE. Alternatively, you can organise the bus via your accommodation in Bangkok. 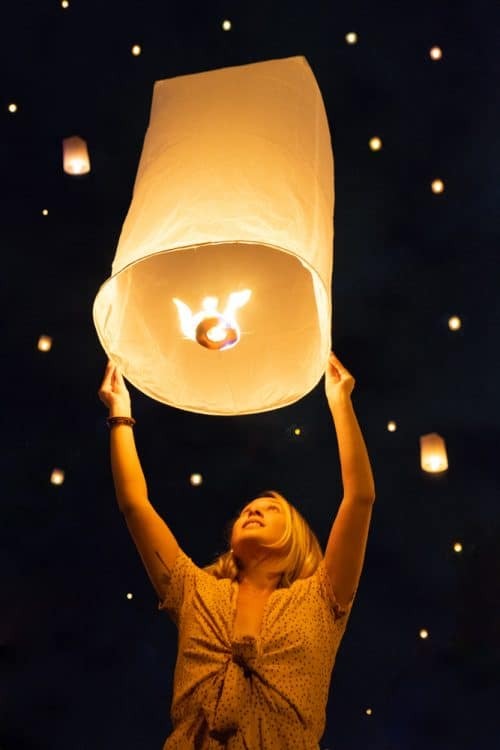 Chiang Mai is a culturally rich ancient city located in the mountains of Northern Thailand. There is so much to see and do in Chiang Mai which is why I spent 5 days here. 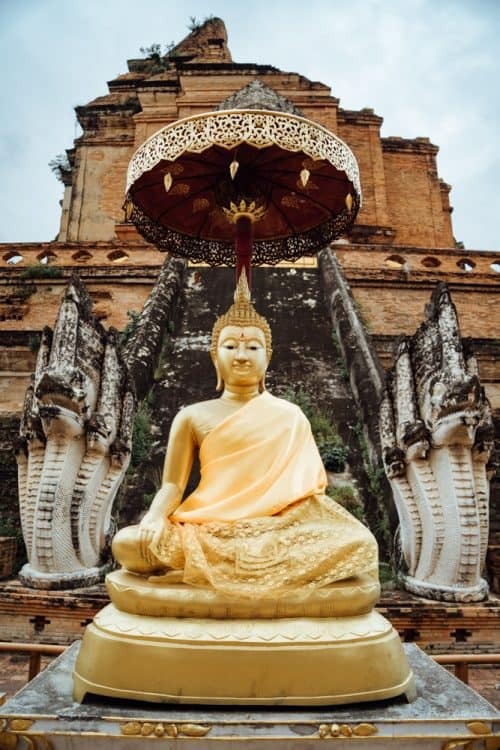 I guarantee once you get a taste of Chiang Mai you won’t want to leave, so make sure to add it to your 3 week itinerary Thailand. 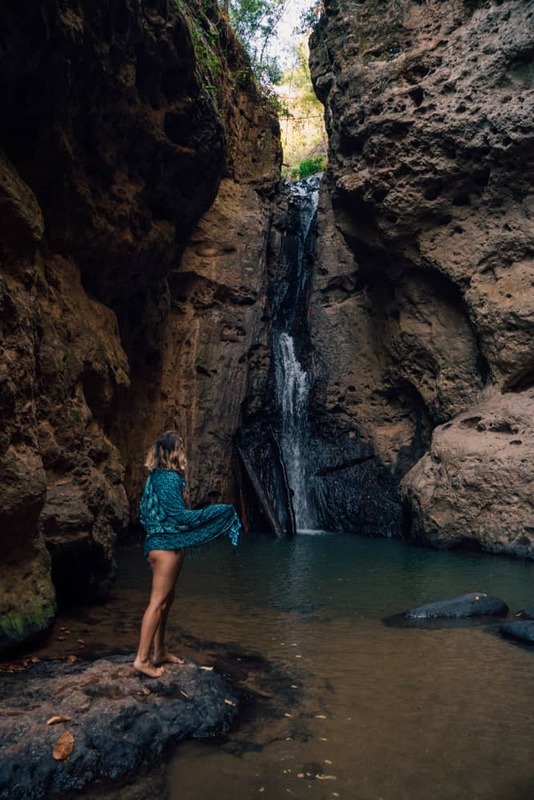 I have put together an easy guide including panoramic viewpoints, buzzing night markets, historic temples, best places to eat and much more! 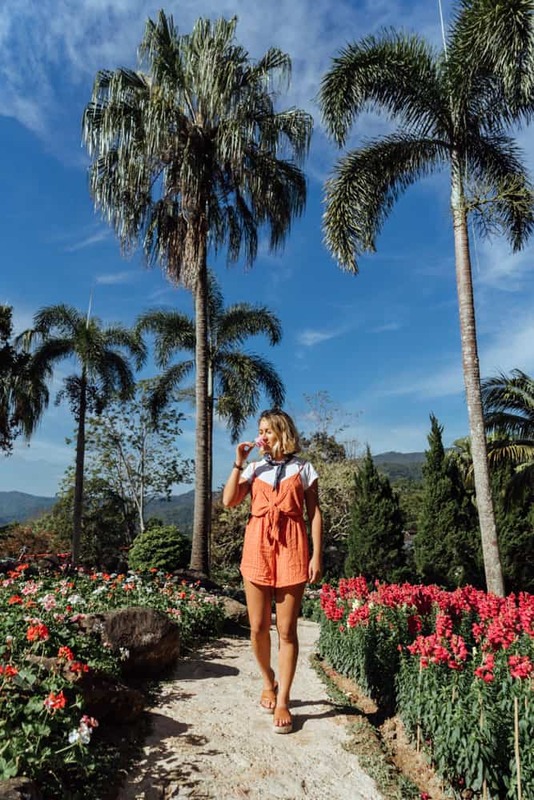 Click HERE to see the full blog post of 10 Awesome Things To Do In Chiang Mai. 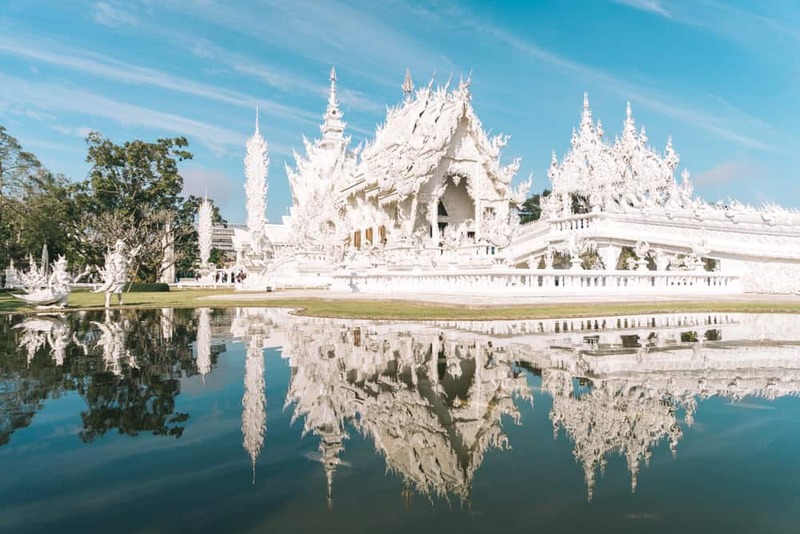 I highly recommend taking a day trip from Chiang Mai to Chiang Rai to visit the famous White Temple and more. I organised my Chiang Rai day trip with a tour company called Take Me Tour, which included all transport, entrance fees, lunch and a guide! The Chiang Rai Tour was one of the best days I had during my time spent in Northern Thailand. 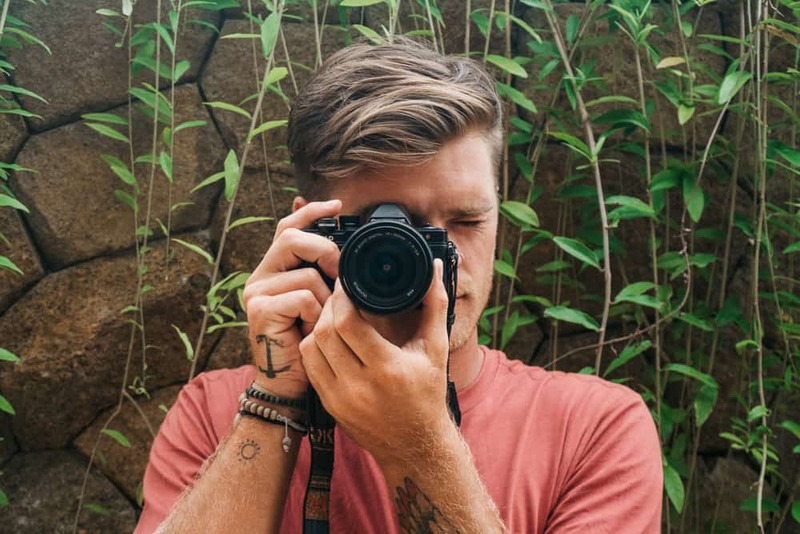 I booked the Chiang Rai Tour with Take Me Tour, one of Thailand’s best tour companies offering unique and local experiences throughout the country. 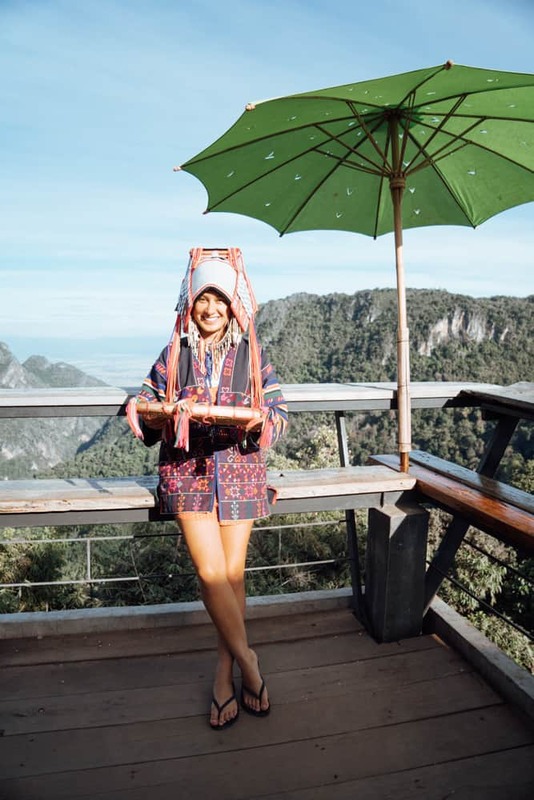 I chose the Chiang Mai to Chiang Rai tour package which includes Mae Kajan Hot Spring, The White Temple, lunch at Salungkham restaurant, Doi Tung Botanic Gardens, The Royal Villa and visiting the Akha Hill village tribe. Click HERE to see the full blog post of the Chiang Rai Day Tour. Pai is a small countryside town in the Mae Hong Son province of Northern Thailand. 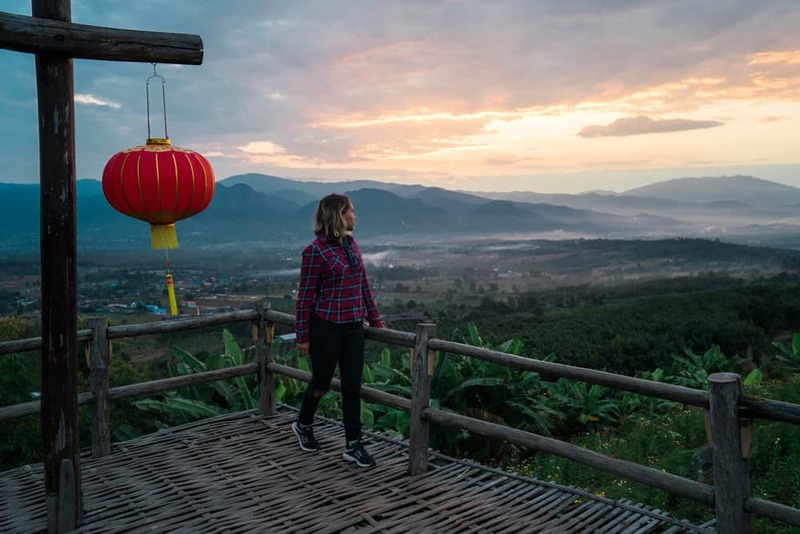 I spent 4 days exploring the Mae Hong Son province and have created the Ultimate Guide for 10 Awesome Things To Do In Pai including viewpoints, waterfalls, hot springs and more! 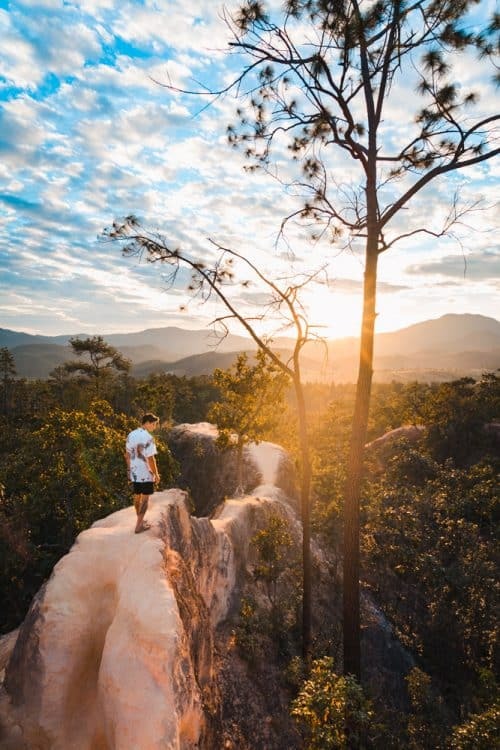 Click HERE to see the full blog post of 10 Things To Do In Pai. From Pai, you can take an afternoon bus to Chiang Mai and then further on to Bangkok. The journey from Pai to Bangkok takes approximately 14 hours. To check timetables, prices and to book online in advance, click HERE. Alternatively, you can organise the bus via your accommodation in Pai. Back to Bangkok for the last day of the 3 week Thailand itinerary. Alternatively, you can depart Thailand from Chiang Mai International Airport, though in my experience I found it cheaper to fly out of Bangkok. Thailand currently offers visa-free entry to nationals of 57 countries. The free visa on arrival is valid for 30 days in Thailand. For more visa information visit www.thaiembassy.com. There are a few ways of getting around Thailand and that is with either bus, boat, taxi, train, plane, or motorbike. In my experience, the cheapest and most convenient way of getting around is by bus. The most reputable bus/boat company is Lompraya transport. The currency in Thailand is Baht and the exchange rate is approximately $1 USD = 30 Baht. Getting a tourist sim card in Thailand is very simple. You can obtain a sim card upon arrival at the airport or from any 7 Eleven stores. The cost of a tourist sim card for 8GB of data is around $15. 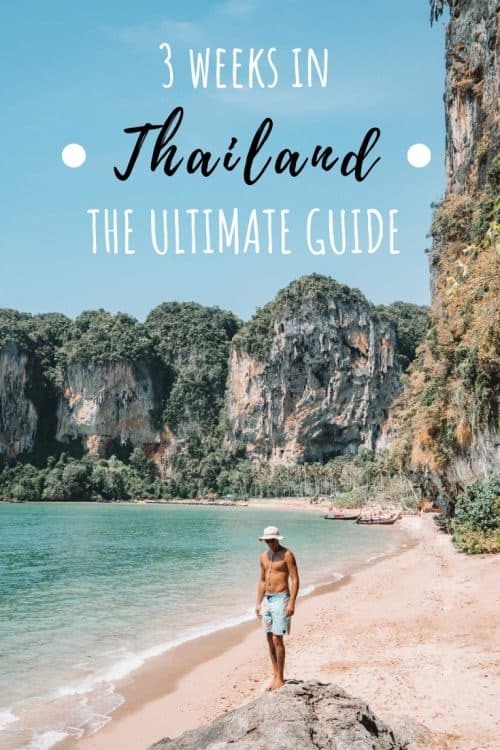 I hope you enjoyed reading this article and if you have any questions about Thailand Itinerary 3 Weeks, please leave me a comment below and I will get back to you as soon as I can!